Jesska Denise: Clinique High Impact Mascara. I thought it was time to share with you all what is possibly my favourite mascara ever. That's quite a statement to make considering there's oh so many I have yet to try but this holds a special place in my heart. To quote Clinique on this one 'Wear it once and you’ll feel naked without it '. Which is pretty true. If you're a long term reader you will know the hatered I have for clumpy spider leg lashes that some mascaras produce. I find because of how spread out the bristles are on this wand it really catches those stubbornly small lashes to spread out your lashes and opens up your eyes. The real pro to this is how long it makes your lashes look, it really gives the illusion of long bold lashes which is what we all want isn't it? One application is enough for an everyday natural look but for going out you can really build it up to make more of an impact. I got this a while back in a magazine so it's only a small tube but it really goes a long way. Mine is nearly empty. Have you guys tried this or have you any recommendations for something similar? 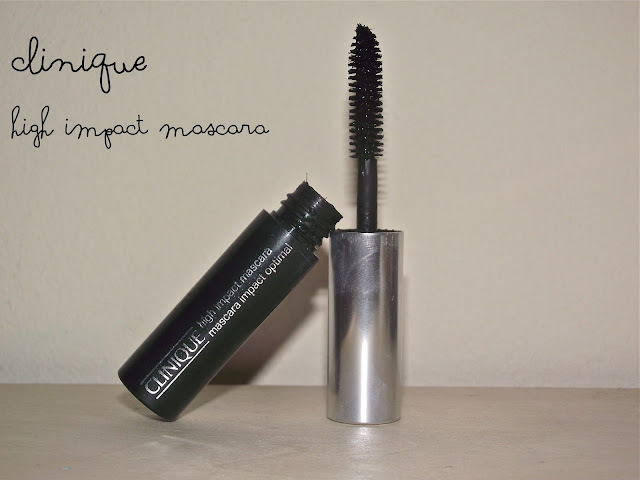 I only tried Clinique's High Impact Mascara because a friend of mine gave me a sample. You are so right - it goes on like silk and will not clump. I just went to the MAC Warehouse sale - they also sell Clinique - and I picked up some minis of this for next to nothing. I'm intrigued to try this. I'm currently using Maxfactor for green eyes, which I'm loving. I got the Benefit 'They're Real',but it's very clumpy I find. I adore mascaras. They can instantly make you look so good!I love my revlon luscious lashes one like crazy but I'd love to try this at some point! I really hate clumpy lashes too this sounds great! I've heard this is great so it's my next buy! 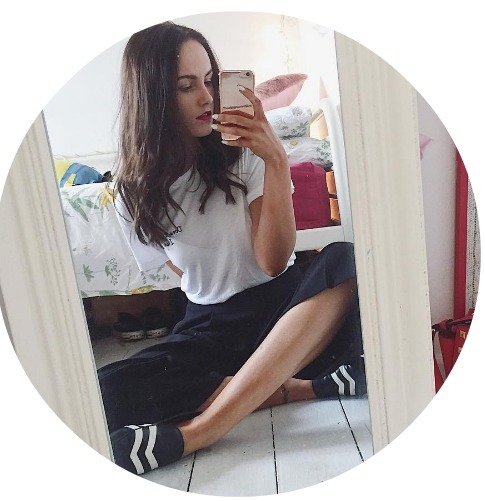 I am THE worst at coming on to everyone's blogs at the moment! DO forgive me (I know you will deep down!) haha.. Like the sound of this mascara, haven't tried it yet! I love my l'oreal telescopic as I'm like you and hate the 'clumpy' effect!